In November, I embarked on my solo trip to Australia, with plans to visit Sydney, Cairns and Melbourne. It was such an amazing experience and I can't help but feel grateful for everything that has transpired. That said, I want to share my experience with you, hopefully to help you with the planning of your trip or to inspire you to visit these places! Sydney was my very first stop and it was about a 7 hour flight from Singapore. After landing in the Sydney international terminal, I simply took the Airport Link to the city. I had to purchase an Opal card to utilise the public transport services, and minimum purchase at the airport was AUD 35. Do note that refunds can only be done online and to an Australian bank account, so do prevent topping up too much! The Airport Link was really quick and took less than 20 minutes to get me to Museum, which is the stop nearest The Capsule Hotel which I was staying at (it was AUD $18.70 one way). I was so excited to lay down that I forgot to take a picture of the capsule itself! However, it is true to the images shown on their website so you can refer there for an idea! As a solo traveller, dormitories are the most affordable option but I value my privacy tremendously, so I thought that The Capsule Hotel was a good option to try out as the nightly rate was only about SGD 45 and I do get my own personal little capsule where I can hide from the world and any social interaction. In terms of location, this hotel is decently located in the CBD, along George Street. It is near Chinatown, takes about 15 minutes to walk to Darling Harbour and about 25 minutes to Circular Quay. The space themed capsule itself is pretty cool. It has a really nice sized mirror, air conditioning and USB charging ports as well. I did not feel claustrophobic at all, but nice and cosy. My only gripe was that these capsule are made of not so sturdy plastic so every move does produce creaks so it can be noisy when people are moving around. I was also awoken one night as the dude in the capsule beside mine was snoring really loudly haha. All of the attractions that I wanted to visit were accessible by walking, so I rarely used my Opal card except for two instances when I headed over to Manly and Katoomba to hike the Blue Mountains. If you do plan to travel to either, try going on a Sunday! Opal deductions are capped at AUD 2.70 on Sundays so you do save yourself quite a bit of money when travelling to the areas outside of the city. I booked two tours for my 6 days in Sydney and I highly do recommend them both. The first was a Whale Watching Cruise by Whale Watching Sydney. There were so many cruises available and I did quite a bit of research before booking this. I read that this company is eco friendly and they provide detailed commentary while whale watching, so I decided to give it a try. I did the 3 Hour Discovery Cruise and it cost me about AUD 67 (online, after discount), which was a decent deal! I've never seen whales before so this was definitely a first. 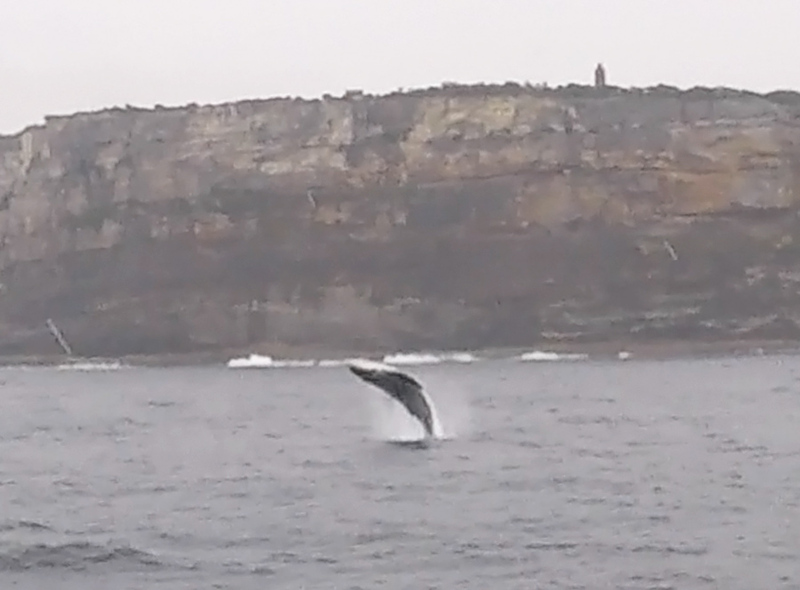 It was unfortunately raining that day, but I still managed to see about 8 humpback whales! It was truly fascinating and I would recommend everyone to give this a go. Do note that humpback whales mostly migrate from early May to late November. The other tour that I booked was a skydiving session at Wollongong Beach with Skydive Australia (via Klook). I was terrified even while I was booking it, but I knew that it was something that I've always wanted to try. At first, I only booked the skydive itself on Klook, as I thought that I could go without the photos and video. However, once I was there at the office, part of me knew that I would regret it if I didn't, so I succumbed to the photo and video package in the end (it was about AUD 199, I believe). It was about SGD 30 more expensive this way, so if you're purchasing a package online, I'd recommend getting it together for a better deal. The view was absolutely stunning and the crew made it far less intimidating. I did a tandem skydive with Rob, and he made me feel safe. I thought I would be terrified and screaming my lungs out, but surprisingly, I was extremely calm (almost zen-like!) when I was on the plane. Even when we jumped, I didn't even scream! Turns out, skydiving isn't as terrifying as it may seem and I would definitely do it again. Other than these two tours, I mostly explored Sydney itself. 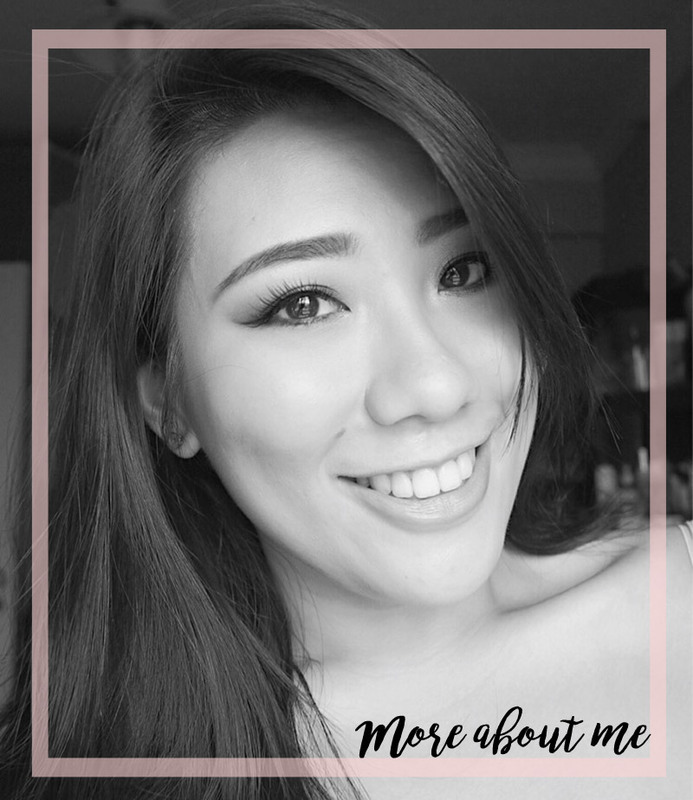 Here are some of the random things I thoroughly enjoyed and would recommend for you to check out! While many people's first instinct is to walk right to the Sydney Opera House to have a lovely view of the Harbour Bridge (and the view is still stunning, no doubt), I personally found my preferred lookout was that of Pylon. This brings you right beneath the Harbour Bridge so you can get a closed up view of how magnificent it is, as well as a pretty much uninterrupted view of the Sydney Opera House (except for the occasional ferries!). I also found that there are way less tourists here, so definitely a win-win-win. Manly was extremely beautiful! It had a more laid back and relaxed vibe to it, as compared to the hustle and bustle of Sydney itself. I visited North Head first, which has a great view of the Sydney skyline. I'd recommend taking bus 135 from stand D when you get off the ferry at Manly Wharf instead of walking up (to conserve your energy and time as it was pretty much uphill), and then walking down towards Shelly Beach. From Shelly beach, walk along the Cabbage Tree Bay Aquatic Reserve towards Manly Beach. There are tons of great swimming spots along this walk, so do pack your swimsuit! I throughly regretted not bringing mine. Manly beach was my favourite. It wasn't too crowded (unlike Bondi Beach, which I personally felt was overrated) and was pretty laid back. There are volleyball courts and surf lessons as well. I read my book on the beach and was lucky to eavesdrop a little of some surfing tips shared by the instructor to her student as they were pretty much right beside me! Surfing is definitely on my list of things to try next. I thoroughly enjoyed my day trip to the Blue Mountains. It was about a 2 hour train ride to Katoomba from Central station in Sydney (I went on Sunday to make full use of the opal fare cap mentioned above) and I did read somewhere that you should try to find a seat on the left on the top deck for the best views there. The views were definitely stunning! Upon arrival, I checked out the Echo Point Lookout before it got too crowded and did the easy Three Sisters Walk that enables you to walk into one of the three sisters itself. From there, you can opt to do the Giant Stairway which consists of over 900 steps that lead you to the base of the cliff! I climbed a little and decided to head back up to conserve my energy as I had plans to do the Prince Henry Cliff Walk. I highly recommend doing this as there were numerous viewpoints with stunning views over the blue mountains! It took me around 3.5 hours to complete and end up Scenic World (I did stop numerous times to observe the view!). However, once you're at Scenic World, you can opt to take the rail back up and it costs around AUD 22. I wasn't keen on doing so, so I decided to take the Furber Steps (the railway operator told me it was over 900 steps as well) and climb all the way back up. This was tough and I had to take numerous breaks as my thighs were on fire. However, I made it back up and took the bus from the bus stop right at the road back to Katoomba station. While Bondi Beach felt a little overrated to me, this coastal walk definitely made up for it. This walk took me about an hour to complete and there were really amazing views of the South Pacific Ocean. Every Saturday at 9pm, there will be fireworks at Darling Harbour and I'm so glad that I managed to catch it! It was about 6 minutes long and I had a great view as I sat really close to the water. You can check out the schedule here, just in case! As Classpass allows me to take classes in various locations (there are many classes available in Sydney! ), I decided to try out some yoga classes while I was there. I tried out the Yin class at The Space Studio, located at Barangaroo and it was a really lovely and relaxed class. This was great as my muscles were extremely tight after flying and just walking around! The location is really convenient as well, and if the blinds go up, you get to see a lovely view of Darling Harbour too! If you love japanese udon, this is definitely a place to check out. In fact, this was right opposite The Capsule Hotel so it was extremely convenient for me (I even wore my PJs out to get myself a bowl of piping hot udon). Australian food isn't the most affordable in my opinion, but Mappen does provide some pretty good options for their price point. I had the Tonkatsu Red Udon and it was delicious, especially great since it was raining that day (and it only cost me AUD 8.90!). You can check out their menu here. I know, what's with all the asian food recommendations but I love me a good bowl of noodles! Gumshara Ramen is found in the Eating World foodcourt located along Dixon Street. It is extremely affordable and the pork bone broth is top notch! I've eaten a lot of ramen and I have to say that my bowl from here definitely rivalled those I've had in Japan. Best part was that my bowl of Tonkatsu Ramen only cost me AUD 12. I love a good burger. The ones here are decently priced and I did enjoy the beef patty. It was slightly juicy and had a good grilled flavour to it! There's an outlet at Manly Wharf and Darling Harbour so it was pretty accessible for me. I got the Betty's Classic (AUD 10) and it satisfied me perfectly well. You can check out their menu here. My experience and guides on Cairns and Melbourne will be up soon as well! Hope this post is useful in some way and that your november went swimmingly as well!